Paint the fence, replace the deck, clean out the eavestrough. For all of us, summer is a time for tackling projects and for Brad Treliving, he's in the same boat. What differentiates the Flames general manager from you and I is what's written on those slips of paper in the job jar. This offseason, his to-do's include hire a new head coach and new associate coach. He needs to re-sign his team's two star forwards as well as come to terms with several other pending restricted free agents. He needs to prepare for a draft that's less than two weeks away in which 10 picks is the most Calgary has held since 2004. It doesn't sound like he'll have much time for sitting around on the patio with a beer. Plus in addition to all that, topping his priority list is addressing the Flames goaltending that last year produced the NHL's fourth-worst season statistically since 2010 and included some of the worst numbers individually in recent memory. Let's be frank. While the defence wasn't stellar at times either, the overall performance in the crease last year was rotten and I'm not convinced it's a situation where Treliving is looking to replace a couple of boards. This could very well be a case of him tearing it down entirely and rebuilding it. 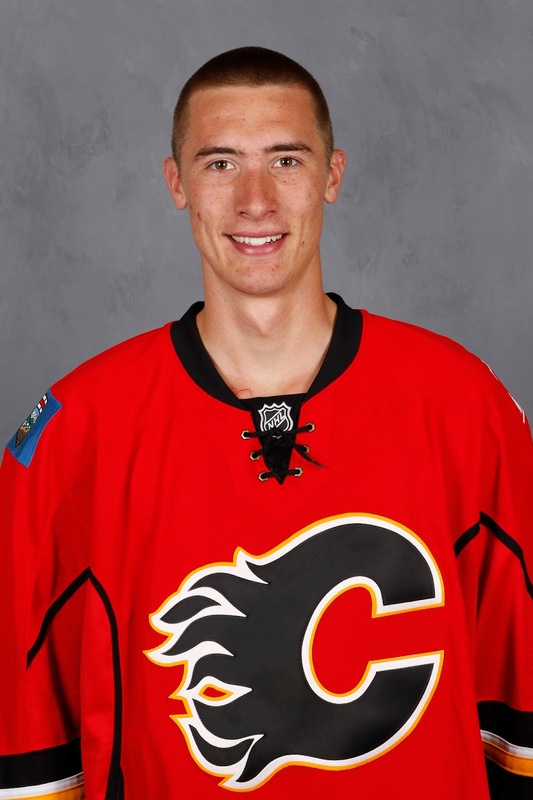 First sign that Treliving has put on his grubbies and tool belt and has begun work on repairing the crease came Friday with word trickling out of the Czech Republic that the Flames have inked 23-year-old goalie David Rittich. His signing was front page news on the official website for the Extraliga, the Czech Republic's top hockey league. Similar to how the Daniel Pribyl signing unfolded two months ago where news of it was first reported elsewhere before being officially announced, the Flames have not confirmed the signing as of Saturday morning, but it sure appears to be a done deal. One would assume an official announcement from the team is imminent. Meanwhile, also on Friday it was announced that Niklas Backstrom has signed in Finland. With Jonas Hiller having already fled to Switzerland, that's two veterans from last year's team gone with the fate of injured pending UFA Karri Ramo and unsigned pending RFA Joni Ortio still up in the air. In discussing the Pribyl signing last month, Treliving admitted the Czech league isn't the best of the European leagues. It's OK but it's certainly not the Swedish league, nor the quality of the KHL or the Swiss League either for that matter. That said, it's still hockey and while the players the goalies are facing may not be the same calibre as in other leagues, nor is the defence playing in front of them. While I don't have a scouting report on Rittich, what I can tell you is he is a big, tall kid, who is listed at 6-foot-4 and 194 lbs. Coming over to North America for the first time, he is subject to the NHL's entry level system. Because he turns 24 in August, the CBA stipulates that at his age he can only sign a one-year, two-way deal that will leave him an RFA at its conclusion. To be clear, this is someone not coming over to be the Flames starting goaltender. This is not someone that should even be expected to be the back-up next year. This a low-risk signing in which he'll come over to North America for a season, probably play in the AHL alongside Jon Gillies for most if not all of it, and we'll go from there. If he's back in the Czech Republic a year from now, no big deal. If he shows enough promise to get another contract, then the club will assess where he slots in. Never drafted by an NHL team, Rittich played his youth hockey for HC Dukla Jihlava. Centrally located in the middle of the Czech Republic, Jihlava is the country's oldest mining town with a population of around 50,000. After two-and-a-half seasons with the U18 team, he moved up to the U20 team during 2010-11 at age 17. He spent the remainder of that year and the next two full seasons in the Czech version of major junior. His second year was especially impressive, putting up a .938 save percentage in 43 games, which was second-best in the country. But done as a 19-year-old, it wasn't good enough to crack NHL Central Scouting's list of the top 11 International goalies for the 2012 NHL Draft. At age 20, he graduated to the top team to begin 2012-13. However, the club was playing in the Czech second division. Run on a relegation system, HC Dukla Jihlava used to be in the top league but was relegated after finishing last in 2004-05 and have been in division 2 ever since. Rittich spent two seasons there, posting regular season save percentages of .917 and .927, a performance that got him transferred to a new club in the country's highest league. 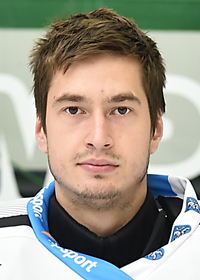 So at age 22 he opened the 2014-15 season with BK Mlada Boleslav. However, his first taste of the Extraliga didn't go so well and after managing just a .892 save percentage in 23 games, he was loaned back to Jihlava where he salvaged his season via a .947 save percentage over his seven regular season games followed by a .925 in six playoff starts. Last season, he was back with Boleslav again and things went much better. In backstopping them to a sixth place finish in the 14-team league, Rittich appeared in 48 of the team's 52 regular season games. His .918 save percentage ranked fourth in the country. He sported a .903 in 10 playoff games. 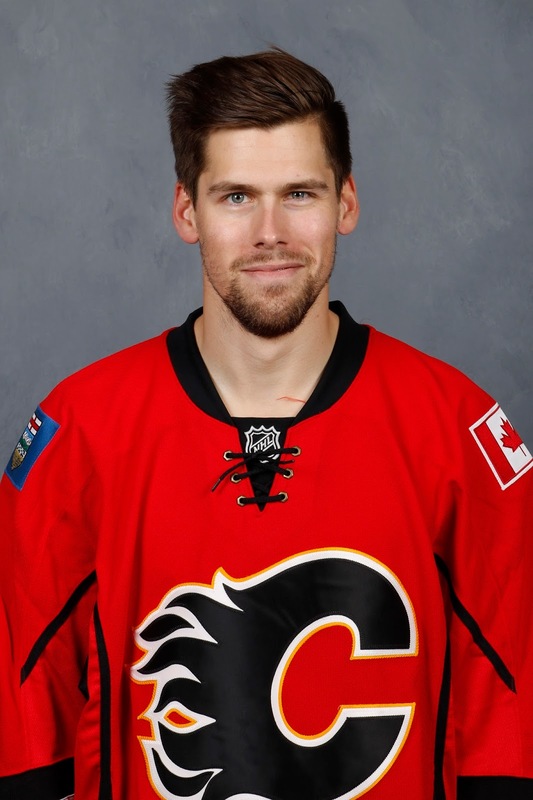 What I can't help but wonder is does this mean the end for Ortio in the Flames organization? While it's absolutely fair to say Calgary badly mishandled its goalie situation last year and Treliving has accepted blame for that, Ortio didn't help his own cause either. I can't imagine his refusal to go to the minors on a conditioning stint early in the season -- when he wasn't playing -- sat well with management. Then when he did get into some NHL games, he didn't look good and he eventually ended up in the AHL anyway but getting there the hard way, by suffering the indignity of going unclaimed on waivers and being demoted. While Ortio had some OK moments down the stretch as he took over the starting job with Ramo injured and Hiller playing poorly, his .910 save percentage over the final six weeks of the season still ranked in the bottom third of the league. That doesn't sound like a solution to me. Even if you insist on calling that stretch a success, you have to factor in Treliving's opinion on what success meant when it came late in the season after the Flames were eliminated from playoff contention. The GM has been very candid in saying he doesn't put much stock at all in late season prowess, subscribing to the theory that it's performance in games that matter that counts. The suggestion is it's easier to perform well (see Joe Colborne) in games when the pressure is off. Plus, there's his contract. Sure, the Flames can qualify him at $660,000 on a one-way, but do they want to and would Ortio even accept that? He negotiated pretty hard last time, when he got Calgary to agree to a one-way deal in year two of his contract that is about to expire. After shouldering a majority of the playing time down the stretch, he surely sees his value as much higher. Sixteen months younger than Ortio, it wouldn't surprise me if Rittich is essentially Ortio's replacement as No. 3 on the organization's short-term depth chart (while top prospect Gillies continues his transition to the pro game.) Plus he comes cheaper and gives the team more versatility. Perhaps with an expansion draft looming for June 2017, Ortio is kept around for another season as the NHL back-up. A year from now, Calgary will only be able to protect one goaltender with greater than two seasons of pro experience in North America. That said, it would still not surprise me at all if the Flames opt for a fresh start this summer and bring in a brand new tandem for 2016-17. I just sense there is a real desire put last year behind them and is Ortio someone Calgary trusts to play 25, 30, 35, 40 games, whatever is needed depending on who is brought in as the starter? If they're able to pry Frederik Andersen out of Anaheim -- and I think it's more difficult than people are assuming given you're asking Ducks GM Bob Murray to deal him to a division rival and that's generally considered taboo -- or if Marc-Andre Fleury or Brian Elliott become available, that would give you a No. 1. Meanwhile as just one example, could a guy like 26-year-old Darcy Kuemper -- who Minnesota GM Chuck Fletcher has said publicly they will consider dealing this summer given they are set in net with Devan Dubnyk -- be someone the Flames would be interested to bring in to compete with one of the above for the starting job. Five months younger than Sharks standout Martin Jones, Kuemper is in a similar situation to where Jones was at a year ago as an established NHL back-up with the potential to be a No. 1. It might be worth the gamble and he shouldn't be too expensive to acquire. Whether the 6-foot-5 native of Saskatoon can become a No. 1 remains to be seen, but the possibility exists. I'm not convinced Calgary views Ortio in that same light. 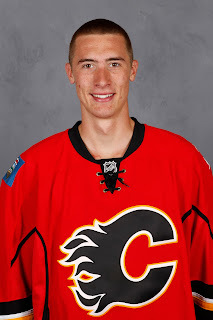 Regardless of Ortio's fate, what I'd envision the Flames goaltending to look like in the minors next year is Gillies and Rittich at Stockton and 20-year-old 2014 second rounder Mason McDonald as the starter for Adirondack in the ECHL. After four seasons in the QMJHL and last year making Canada's World Junior team, it's come time for McDonald to leave Charlottetown and turn pro. Time to get into Calgary's minor league system, face a new level of competition and start getting instruction from Flames coaches. As for 18-year-old Nick Schneider, signed by Calgary last September after going undrafted, age alone dictates he must go back to the WHL this season. Of course, when you think of Czech goaltenders, Hasek is the name that immediately comes to mind. In 16 NHL seasons in a career that started in Chicago and took him to Buffalo, Ottawa and Detroit, Hasek ranks 12th all-time with 389 wins. Among goalies with at least 120 career games, he's third all-time in save percentage (.922) behind Cory Schneider (.925) and Tuukka Rask (.924). For trivia's sake, Hasek also played with HC Dukla Jihlava on his ascent to the NHL. It wasn't the main team he played with while back home but he did play one season with them. Rounding out the list of top five Czech goalies in NHL history are longtime Predators goalie Tomas Vokoun (300 wins), ex-Flame Roman Turek (159), current Jet Ondrej Pavelec (148) and former Flyer Roman Cechmanek (110). Fast-forward to today and the young Czech star in the making is 24-year-old Petr Mrazek, who has supplanted Jimmy Howard as the starter in Detroit. Michal Neuvirth is also coming off a solid year. When he took over in net for Steve Mason for Philadelphia in the playoffs, he stopped 103 of 105 shots in three starts. You don't see a .981 save percentage very often. That came after he posted a .924 in 32 regular season games. While he's older at 28, the pending UFA after next season is someone to keep an eye on. Of course, while I mention Mrazek, this by no means should be your expectation with Rittich. Mrazek, six months older, played for his country at the World Juniors, he played for them at the U18 World Championships. He's had plenty of international experience while Rittich has had none. Their backgrounds differ as well with Mrazek coming over to Canada and playing three seasons of major junior with the Ottawa 67's. Bottom line is much like Pribyl, this is a no-risk move. Rittich is under contract for one year, it's a two-way deal so he'll go down to Stockton to play there and then we'll see what happens. Could he turn into Mrazek? Sure. Is it likely? No. But what you have to like if you're a fan is it's another example of the GM being creative in looking for solutions to address areas of organizational need. There's a lot of good hockey being played around the world, it's more important now than ever that you cast a wide net when looking for talent. The attraction of Europe being you are bringing in older guys further along in their development and you do so without spending an asset to get them. As they say, tall, athletic 6-foot-4 goaltenders don't grow on trees. While there may be an anxiousness across the fans of Flames nation to hurry up and get the goaltending situation sorted out, remember also that this is a summer project and if you're like me, to this date I've yet to experience a project that went faster than expected, It always takes longer. So relax, get comfortable, and we'll see what other moves are made in the weeks to come. I get the sense the next three weeks are going to be very, very busy and a lot of fun for fans. That is, of course, assuming the Stanley Cup Final ever comes to an end. Three two-day breaks so far and another to come should San Jose win on Sunday. All break, no action sounds like my approach to outdoor projects, but it's not to be confused with a successful approach. I worry that we might give up on Ortio and then he might turn out to be another Martin St. Louis. It's not likely, but it's hard to tell based on the mess that was last season. On another topic, I have an idea for a story for your website. My question is this: Did the Flames over-train under coach Bob Hartley? There was so much focus on fitness that some players seemed to become too thin for a hockey player's body. I remember a few years ago Giordano could be a punishing body checker. I remember one game against LA where he hammered captain Dustin Brown several times and changed the momentum of the game. Last season, he seemed to get bounced around a lot. He always seemed to be flying into the boards with his skates up in the air after taking body checks. I started thinking that he was getting too fit, with not enough body fat, when I heard Rhett Warrner comment upon how Gio and Stajan looked like skeletons. Two years ago, that fitness may have helped them win third period comebacks, last year it seemed to negatively affect some players who had over-trained. I'd be curious to hear some context and opinion on this topic. Making nearly the NHL minimum wage at $600,000, 29 other teams could have had Ortio for free last season when he was on waivers. Yet nobody wanted him. In doing that and offering up up for free to anyone, you could say Calgary already gave up on him. I think an expansion draft in June 2017 could keep Ortio around for one more year but that could also hinge on who else they bring in. I think he's running out of time. As for your story suggestions, it's something I'll take into consideration. Thank you.